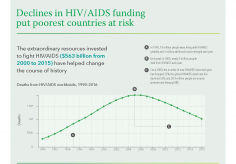 The extraordinary resources invested to fight HIV/AIDS ($563 billion from 2000 to 2015) have helped change the course of history. 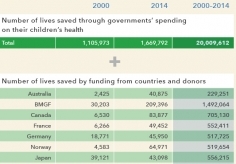 This infographic highlights findings from the first long-term and comprehensive analysis of funding for HIV/AIDS. 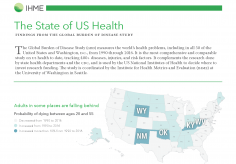 This is a summary of the findings from the Global Burden of Disease Study (GBD) for all 50 of the United States and Washington, D.C., from 1990 through 2016. 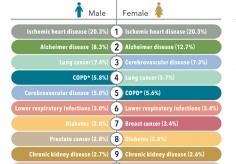 It is the most comprehensive and comparable study on US health to date, tracking 400+ diseases, injuries, and risk factors. 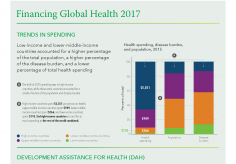 A visual summary of new findings detailing trends in spending and development assistance for health from the latest Financing Global Health 2016 report. 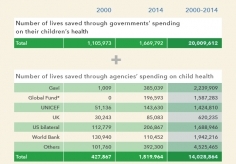 To combat rising health spending, it is critical to understand what conditions are driving the spending. 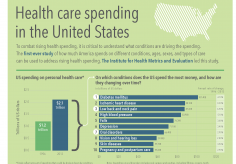 The first-ever study of how much America spends on different conditions, ages, sexes, and types of care can be used to address rising health spending. 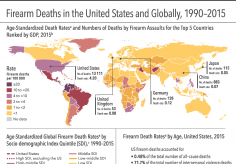 This Visualizing Health Metrics infographic, based on the Global Burden of Disease study 2015, provides information on mortality resulting from assault by firearms in the United States and globally from 1990 to 2015. 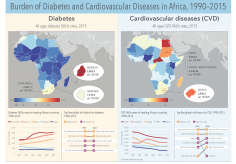 Produced in conjunction with World Diabetes Day 2016, and a forum in Nairobi, Kenya, this infographic highlights the burden of cardiovascular diseases and diabetes in Africa. 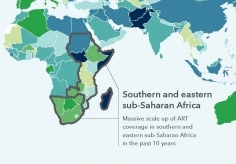 Diabetes rates have been rising across Africa, with higher rates seen in women than men in many countries. 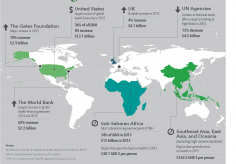 The Global Burden of Disease (GBD) enerprise has consistently grown its collaborator base. 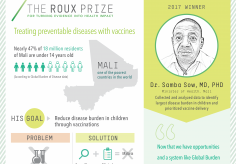 At the time of the GBD 2015 launch in October 2016, there were 1,870 collaborators from 124 countries and 3 territories. 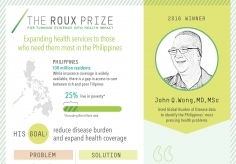 Dr. John Q. Wong, a Filipino epidemiologist and professor, has been awarded IHME's annual Roux Prize for using health data to identify the most taxing health problems in the Philippines, helping his country expand health coverage and reduce the costs involved. 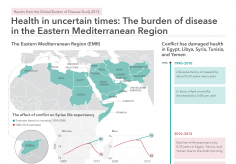 This Visualizing Health Metrics infographic, based on the Global Burden of Disease Study 2013 and published in JAMA, provides information on mortality for children and adolescents from four age groups, including both sexes, from 1990 to 2013. 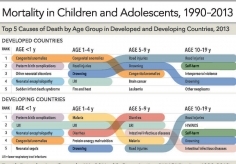 The top causes of death in developed versus developing countries, as well as mortality rates by World Health Organization (WHO) region, are illustrated. 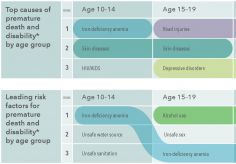 The health of young people aged 10-24 years has emerged as a neglected, yet pressing, issue in global health and development. 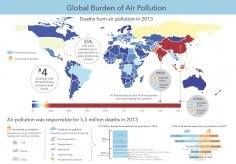 New research shows that more than 5.5 million people die prematurely every year due to household and outdoor air pollution. 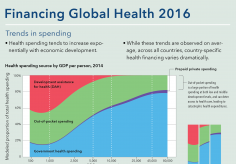 Global inequities in health spending are expected to persist and intensify over the next 25 years, according to a new study that estimates total health financing in countries around the world. 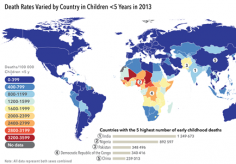 This Visualizing Health Metrics infographic, based on the Global Burden of Disease 2013 study, provides information on changes in mortality rates for children younger than 5 years, for both sexes, from 1990 to 2013. 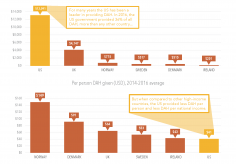 This Visualizing Health Metrics infographic, based on the Global Burden of Disease Studies 2013, provides information on changes in average life expectancy in the United States, World Bank–defined “high-income countries,” and globally from 1990 to 2013. 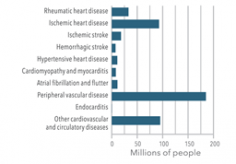 This Visualizing Health Metrics infographic, based on the Global Burden of Disease 2013 study, provides information about cardiovascular disease mortality and prevalence, and the effect of population change on cardiovascular mortality from 1990 through 2013. 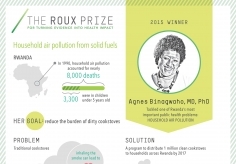 Dr. Agnes Binagwaho, Former Minister of Health of Rwanda, used Global Burden of Disease data and evidence from the Ministry’s own data-gathering efforts to ensure the country’s limited resources are saving the most lives and reducing suffering. 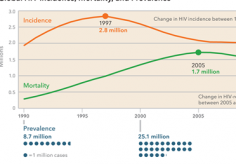 This Visualizing Health Metrics infographic, based on the Global Burden of Disease Study 2013, provides information about HIV incidence, mortality, and prevalence between 1990 and 2013. 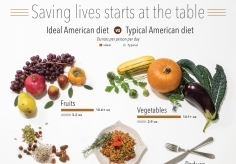 Healthy diets can save lives, while unhealthy diets can cause diseases like diabetes and cancer. The ideal diet is high in fruits, vegetables, whole grains, and nuts and seeds – and low in salt, trans fats, processed meats, and sugar-sweetened beverages.